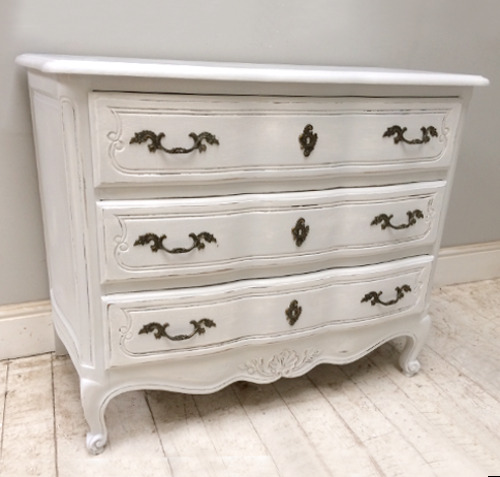 It is a very good quality chest of drawers in the Louis XV style. deep drawers, with ornate decorative metal handles and lock escutcheons. Painted in Farrow and Ball 'Blackened', lightly distressed and given a soft wax finish. There is a carved shell with scrolls to the shaped base and 'escargot' feet. Measures 87cms tall x 110cms wide x 53cms deep.